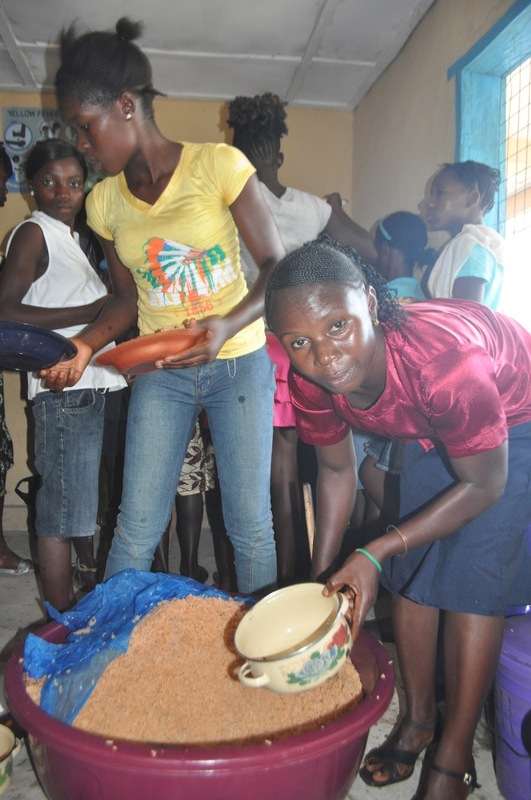 The purpose of this NHA Blog is to keep you informed of the work and the needs both in Kentucky and in Sierra Leone. It is important to us that you can see and track the gifts (donations) that you give. Sometimes it takes time for everything to fall into place and the internet to cooperate in Sierra Leone but eventually you'll be able to see your contribution to NHA in action. And so today I show you what the Faith Family has done. This post details the activity of the Faith Family Yard Sale. Its fitting that their name is Faith because it was in faith that this family trusted that whatever they gave would be enough to do something helpful. 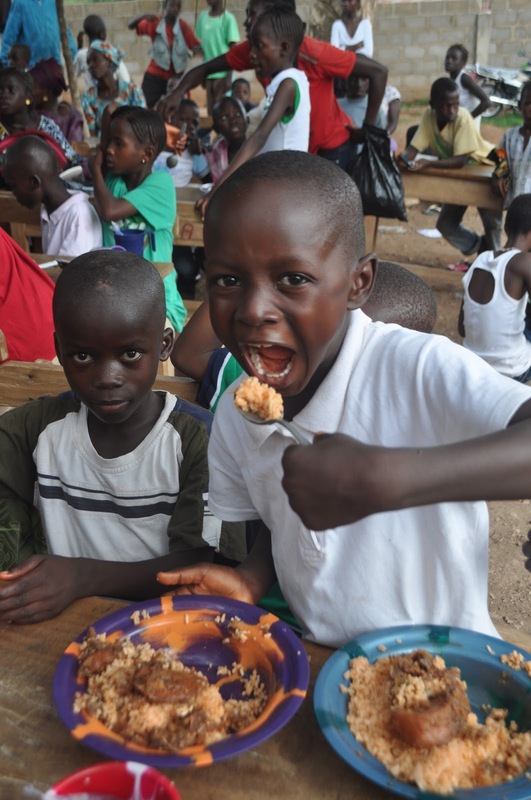 (lots of food) and a good time for everyone - students, teachers and parents! 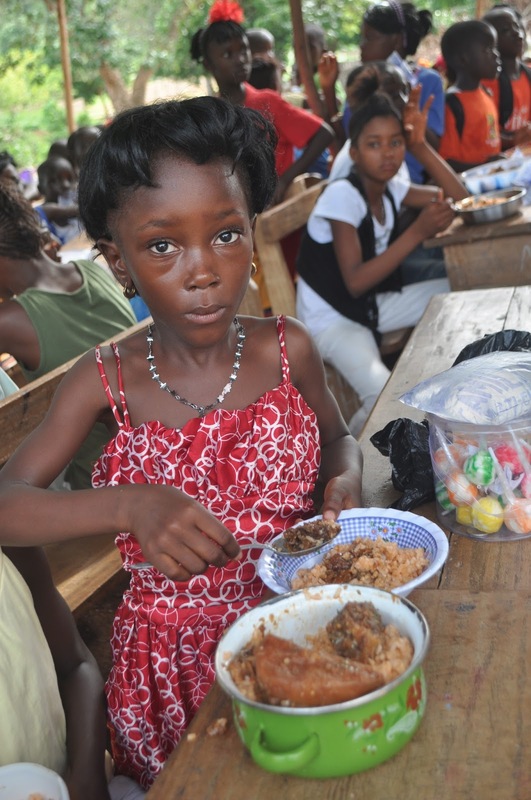 only $140 more feeds 300 students, teachers and parents one meal and a party in Kabala! - thanks to the careful planning and preparing of all of those involved in the school. and as the pictures show, everyone received an American sized huge portion. 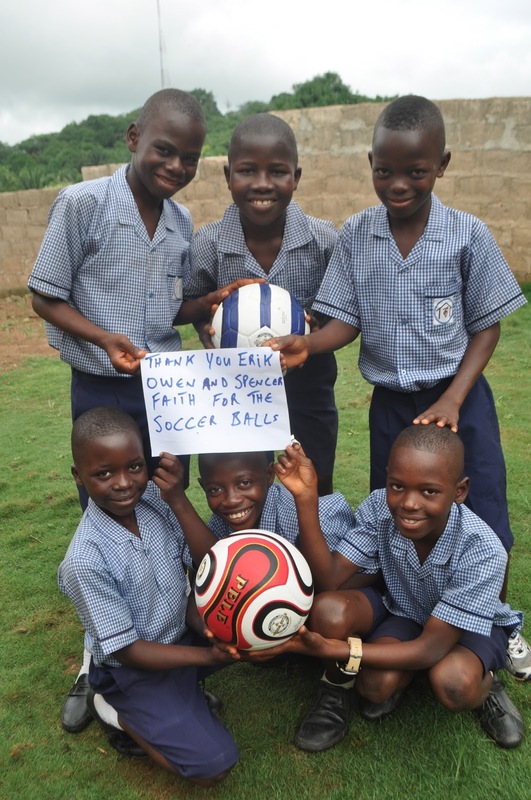 And thanks to Erik, Spencer and Owen - we now have two footballs for the Physical Education at the NHA School. Its fun to see the students having such fun. Many of you will recognize the familiar faces of the students and notice how fast they are growing up. Soon we will have students that have went through every grade and graduated from our school. The Year End Festivities took place on three different days last week at the NHA School. We are anxious to share all of these events with you. Tomorrow our blog will be on "Receiving Report Cards". Please check back to see these students. We cannot tell you how proud we are of them, the teachers, Pa Foday and James for all they have accomplished this year. And most especially our supporters who are making it all happen. We depend on our supporters who give monthly that enable us to pay our teachers, provide food for many families, keep the skete and NHA Compound in good maintenance, provide for our staff and enable us to remain in prayer for others. We are grateful for their support and for the extras that come in from time to time like this Yard Sale Money that enable us to surprise our brothers and sisters in Sierra Leone with additional good things.